For my card today I created a fun Martini Shaker, filled with crystals. 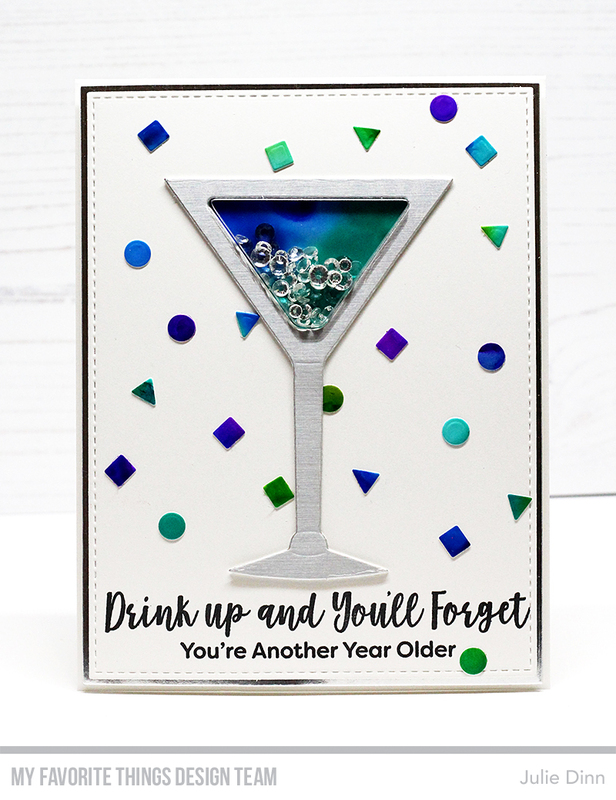 The martini and the confetti were both die-cut from a sheet of Yupo paper colored with a few of my favourite alcohol inks. I finished off the card with a sentiment from the fabulous Sassy Pants Birthday Greetings. I love this card! Great sentiment! !